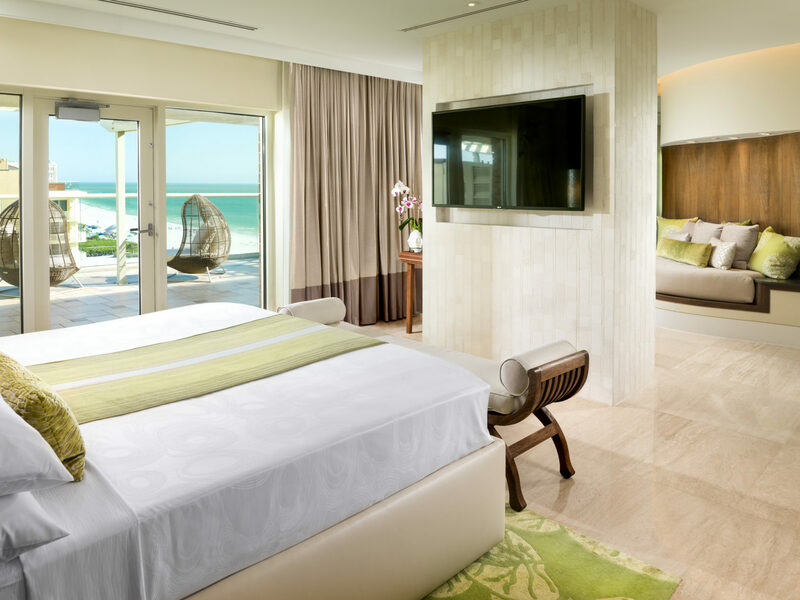 As to concept, the Balinese-inspired suite is essentially a haven for the CEO, a respite from the hustle of endless presentations and interminable meetings. It is an oasis, a singular moment of quietude. Upon entry into the space it is obvious that this is not a typical Presidential Suite – no grand piano, no stodgy crystal chandelier. One is greeted instead by sky-level, sunset retreat. The dining room, oval in circumference and emulating an eroded wall of stone, is a place where a meeting held over drinks will invariably turn into dinner. The stone-clad concave wall nestles a cascading feature with water trickling behind a carved wood Balinese sculpture. The space is extroverted, yet private. The bedroom, itself a suite, initially opens up into a reading room – an inviting, wood clad lounge bed sinuously carved into the side of a wall. 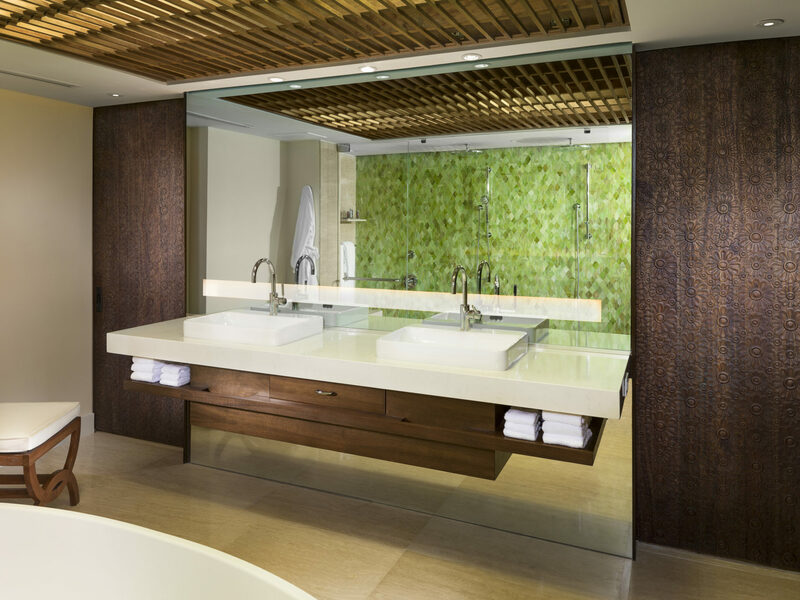 The master bathroom, behind a pair of sliding carved wood doors, boasts of an over sized walk-in shower with a wall of green and freestanding soaking tub. A skylight overhead casts its light through a hardwood ceiling trellis. All windows, from the guestroom to living space, have incredible views – the main building’s parapet walls have all been replaced by seamless glass railings. 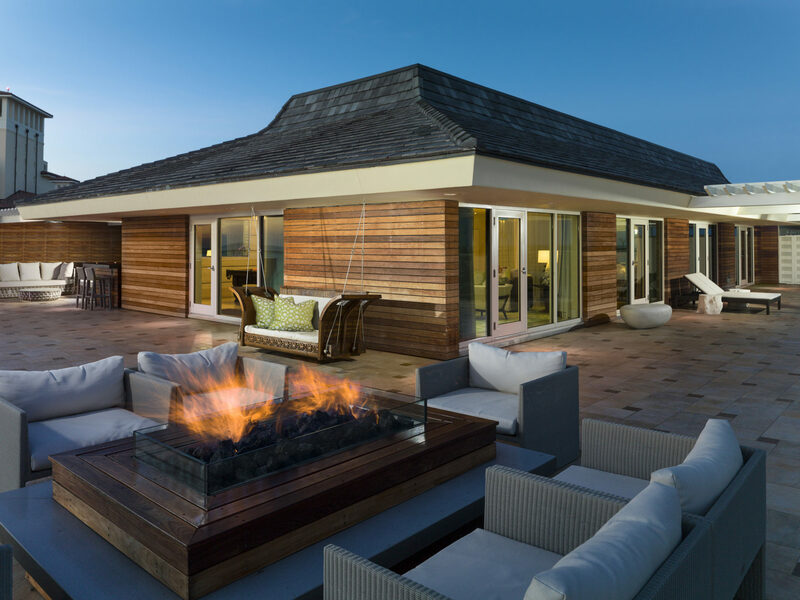 The windows from the living room open up to incredible views, and incomparably spectacular sunsets, over the placid waters of the Gulf of Mexico. 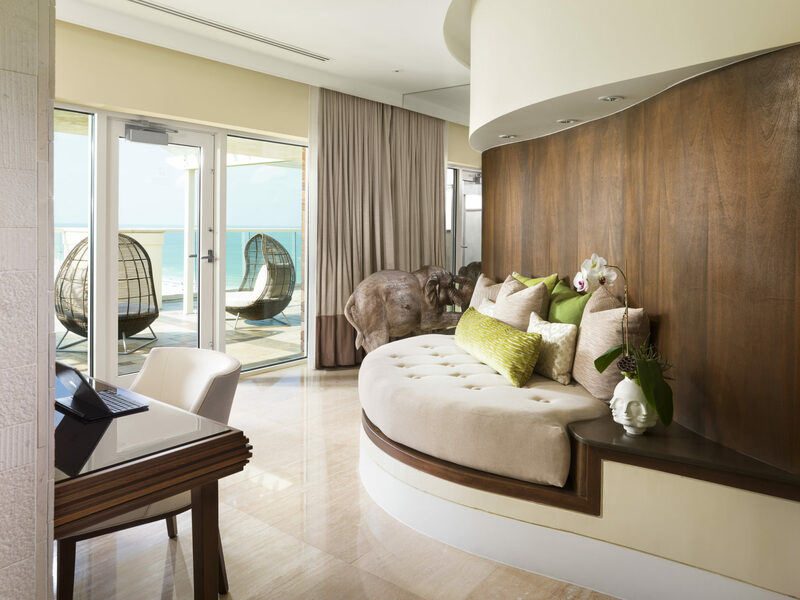 THE PRESIDENTIAL SUITE IS AN OASIS, A SINGULAR MOMENT OF QUIETUDE.